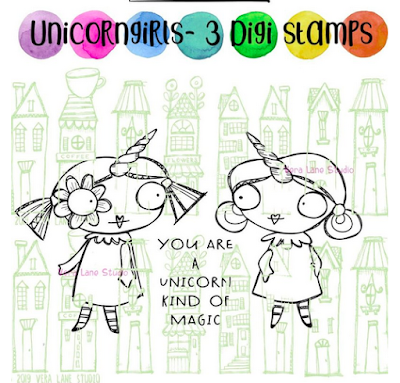 It's all about unicorns this week at Vera Lane Studio. Unicorn Girls, that is. 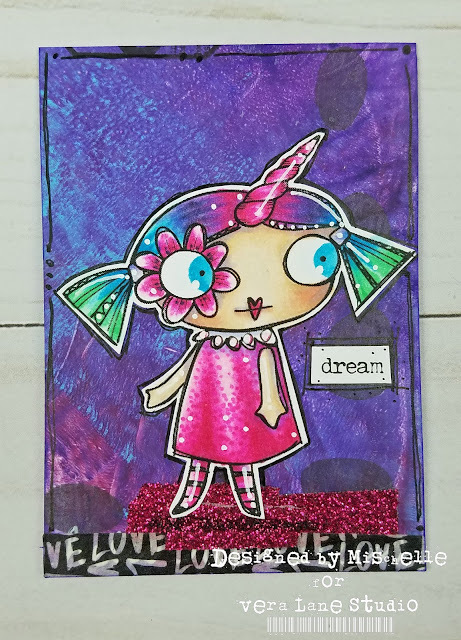 I have been trying to venture out of my box and try new color palettes, techniques and/or refresh some of the oldies. 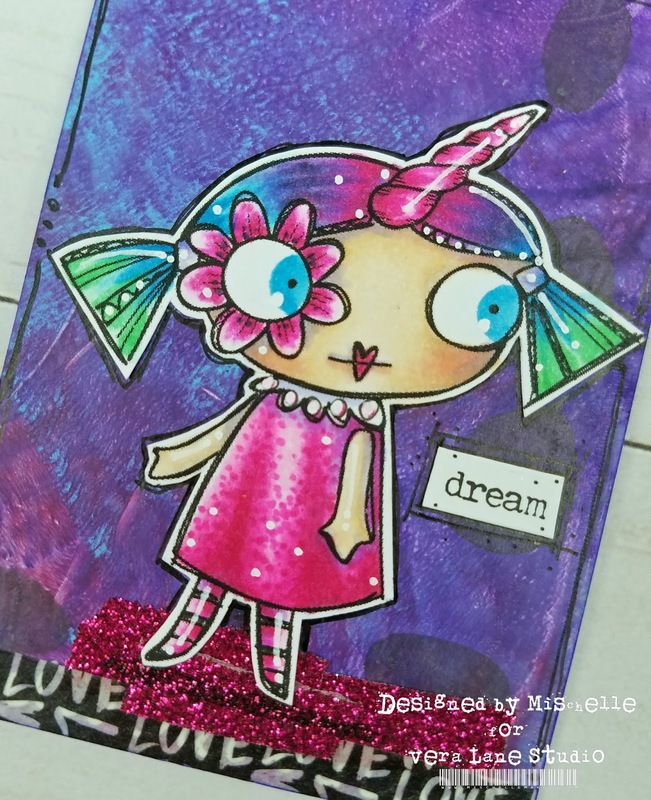 For this little gal, I was using a color palette from Kit and Clowder featuring their unicorn freebie. 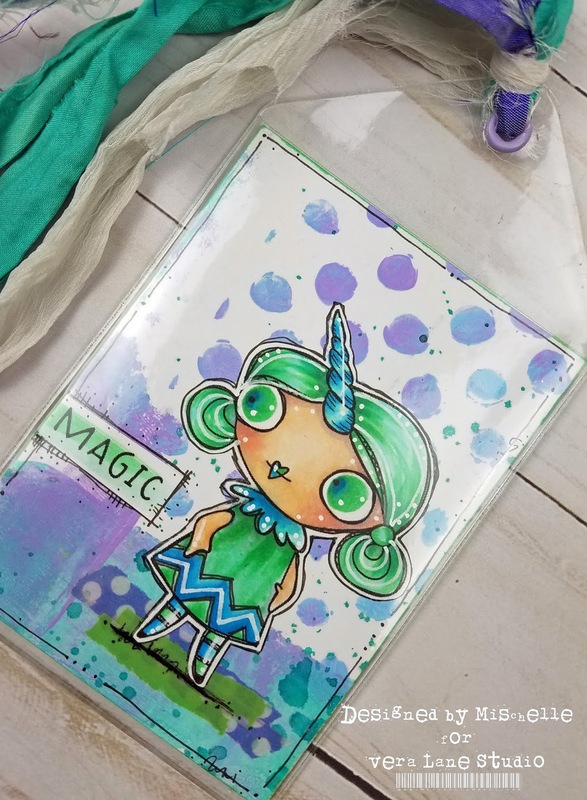 This is a free coloring class and I was looking forward to playing with these fresh colors. 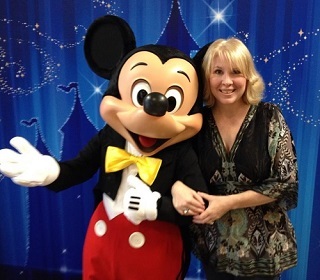 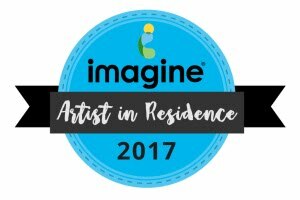 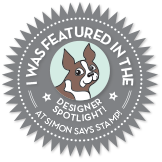 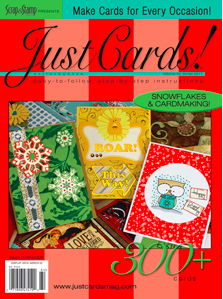 My image was MUCH smaller ... but still just as fun! This little gal is colored with Copics and layered onto a gel printed background. I decided to create an ATC with this little darling. 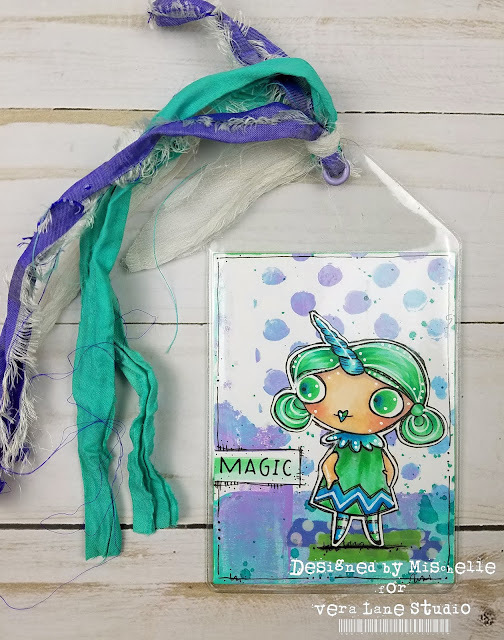 This little gal is also colored with Copics, highlighted with a white Posca marker, layered onto a Gelli printed background and finished off with a plastic bookmark sleeve and sari ribbon. 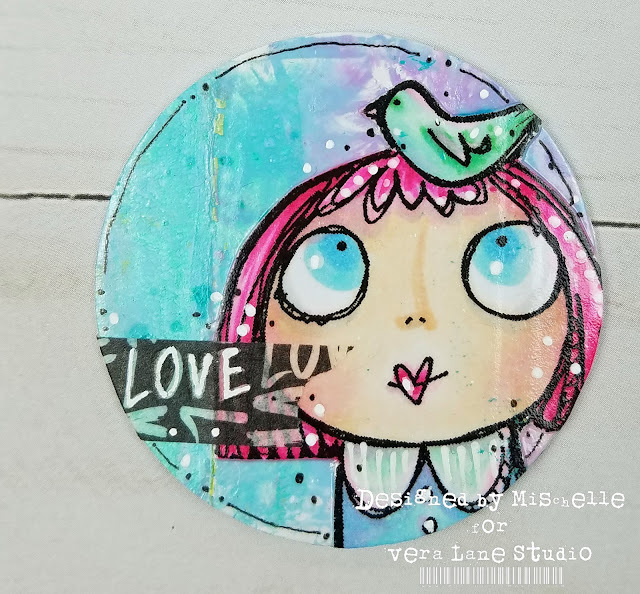 I LOVE how Gelli prints seem to go with everything ... they sure make designing and creating TONS easier ... and that's a great thing. 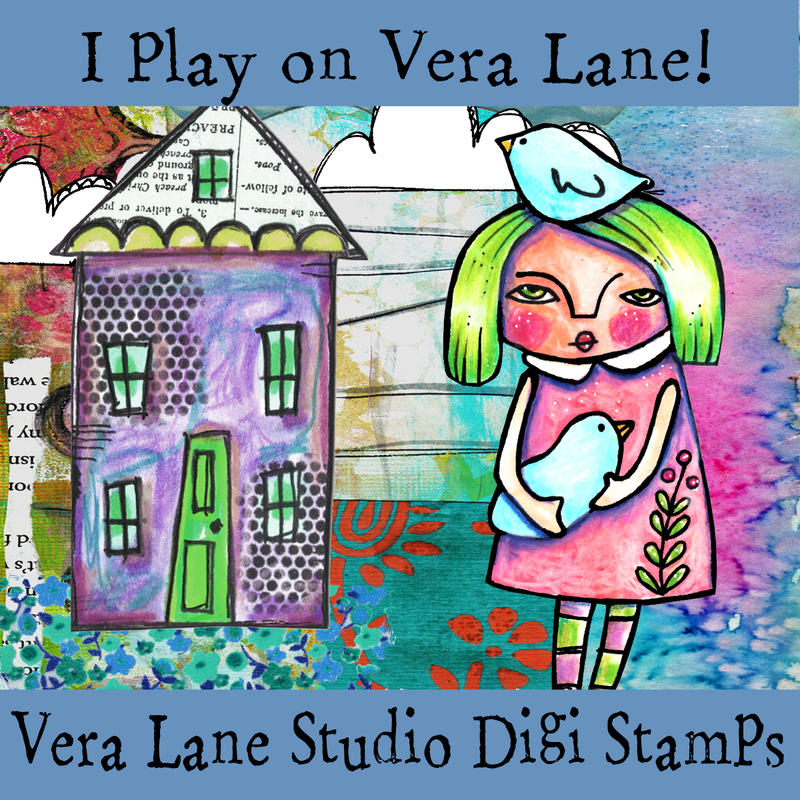 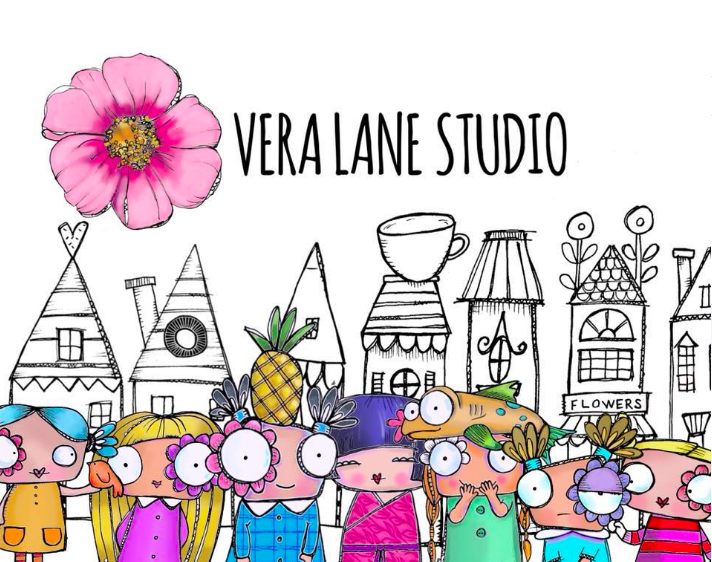 If you adore these quirky Vera Lane Studio as much as I do ... check out the VLS Facebook Group for more great ideas! 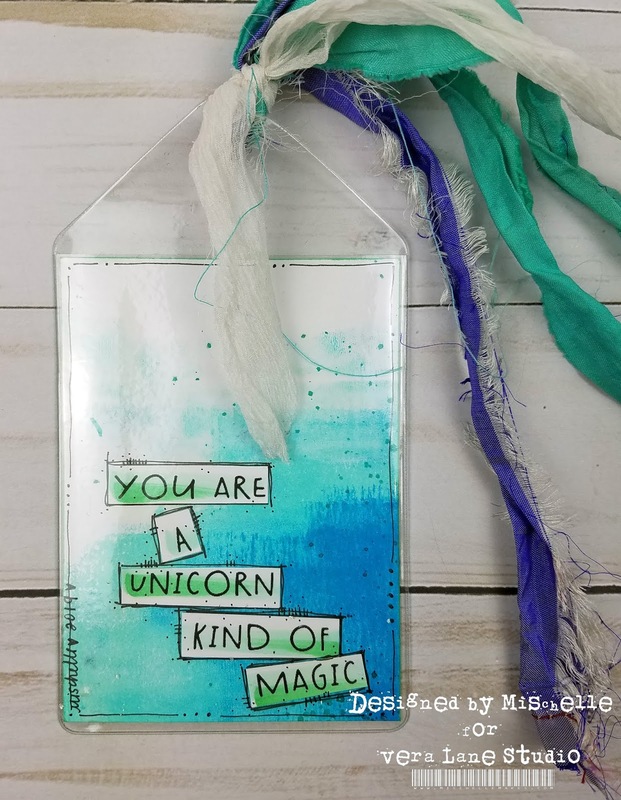 Thanks for stopping by and have a BLESSED weekend!